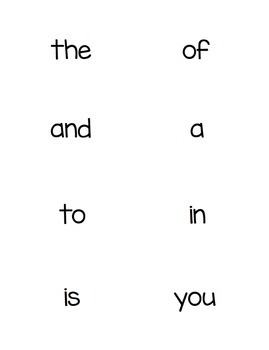 Your students will absolutely love this interactive sight word game. Students take turns drawing cards and reading the sight words. When a student chooses a Boo! card, all their cards must be put back in the pile. The player with the most cards at the end of time wins. 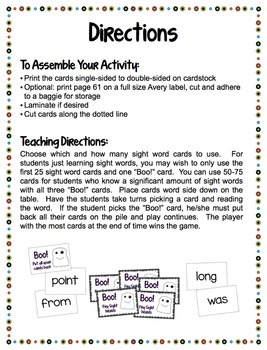 This activity allows for many response opportunities. 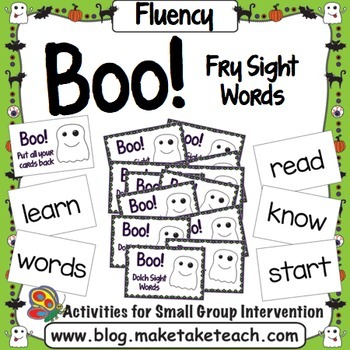 Great for both literacy centers and small group instruction. 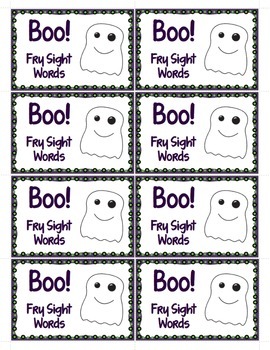 Contains 220 sight words from the Fry sight word list. Halloween Themed 4-In-A-Row Game for Math Freebie! Hope you find this product helpful. If you downloaded this product, be sure to leave feedback as you earn TpT purchasing credits.